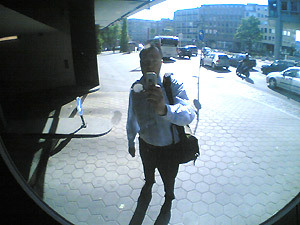 mirror at axel-springer-platz. standing around, waiting for a friend. enjoying the morning sun.